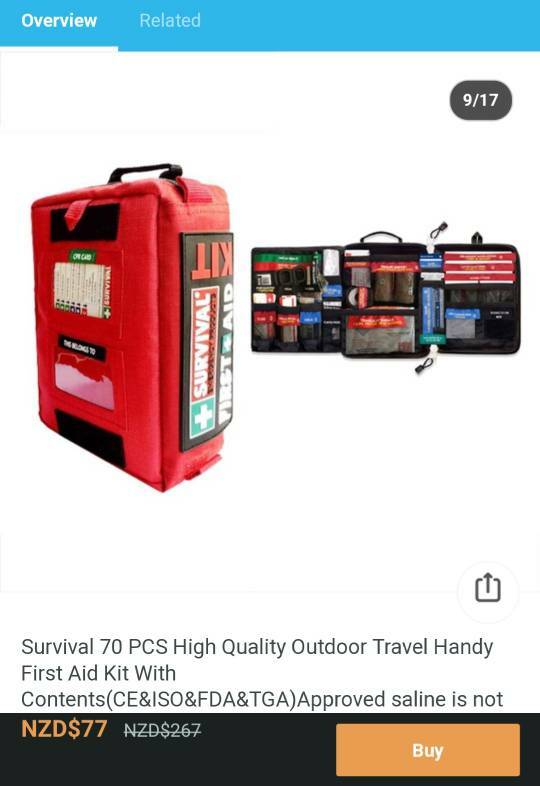 A few people on the Toby Shoot last year asked about my first aid kit, and I couldn't really tell them where it came from because I basically stole it from my parents. This evening, I've just had Wish advertising it at me, so I'll share. me too, not a member of any of those. is $70 a good deal? Sorry all, forgot Wish required you to be a member to browse. Photo attached. And yes, I used it on the day. I think it's a solid bag with good layout. The only contents I'd complain about is the shears, they're not very good. I'm not an expert on buying this stuff, but $77 seems like a decently fair price. I know you'd pay more for the same stuff from St John, with what I'd call a subpar layout. Still a decent price but not seeing it worth the $264 they claim it to be reduced down from. Currently $135 with free delivery on Ali-express. Last edited by ROKTOY; 17-07-2018 at 10:25 PM. This is very true. If it were practical in terms of money/space, I'd like to have a clone of our ambulance resus kits so I know where everything is. One thing I really appreciate about this kit when I go to use it is the clear and prominent labeling.